← THIS IS NOT A CORNISH PASTY! 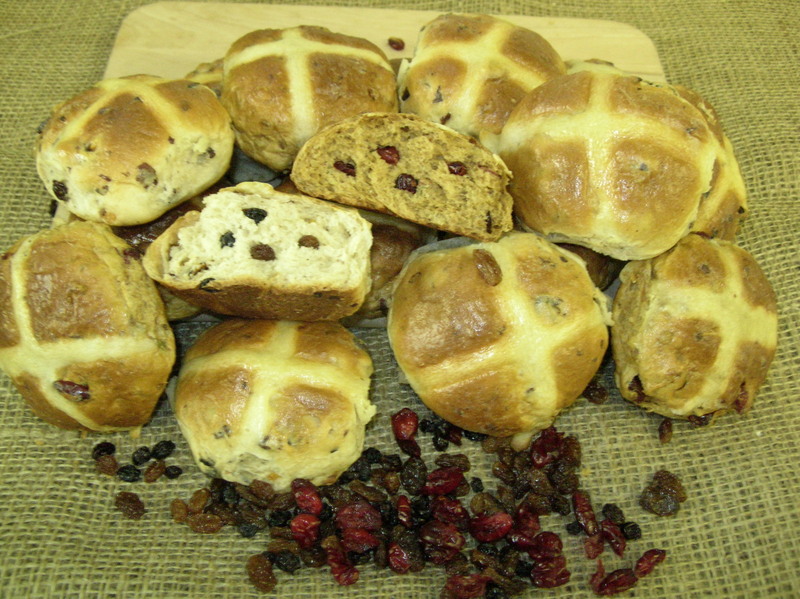 We make our Hot Cross Buns in two flavours, firstly the tradtional spiced bun with plump sultanas, and currants witha hint of mixed peel and for the first time this year we are making Multiseed & Cranberry Hot Cross Buns. These are made from the same mix of seeds and grains that goes into our very popular Low GI Multiseed Bread with added spice and cranberries. altogether a healthier version ot the tradtional bun. Both varieties are available in individual and mini sizes try some today! This entry was posted in Cakes, News, Uncategorized and tagged cranberry, easter, good friday, hot cross bun, multiseed, spice, Victoria Bakery. Bookmark the permalink.